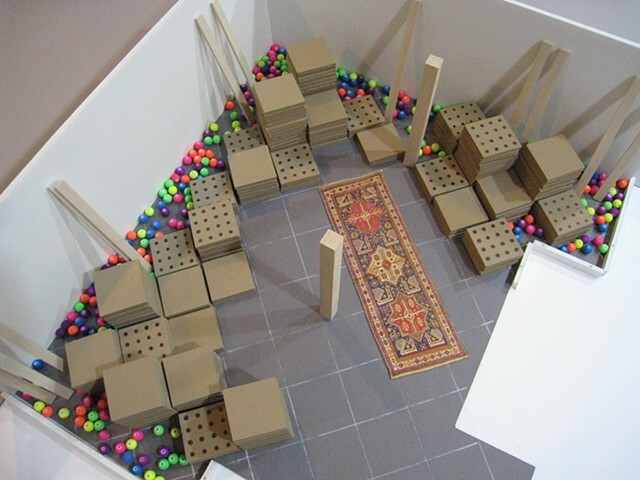 A proposal for an installation... the maquette. Created with the concept of nations sharing the burden of refugees in mind. A concept re-presented by Peter H. Schuck, in an essay titled: "Refugee Burden-Sharing: A Modest Proposal, Fifteen Years Later," in The Nation State and Immigration: The age of population movement, Eds. Shapira, Stern, Jakobson and Orgad (Chicago:Sussex Academic Press, 2015), 67-116.